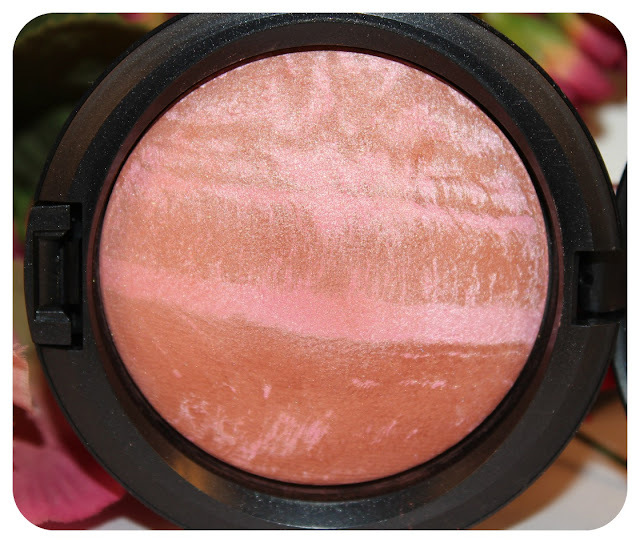 Rio Mineralized Skin Finish (limited edition) was released this summer in the MAC Tropical Taboo Collection. There were five MSFs released in this collection, three new and two re-promotes. I also purchased "Lust" which I reviewed here. I would describe Rio as a deep toned peach with lighter peach highlights. What I like about this MSF is that there isn't any golden shimmers which is very common with MAC MSFs. 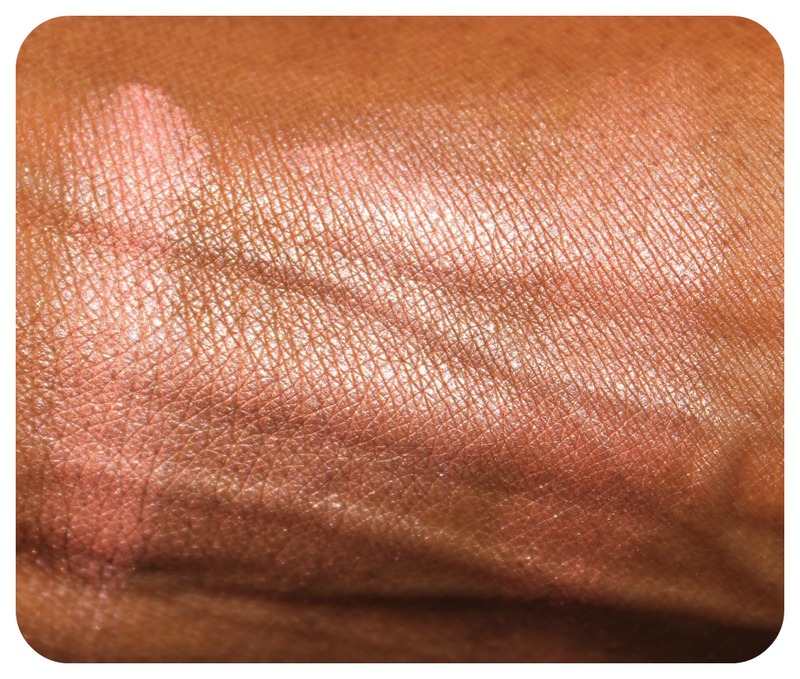 Similar color is Stila Heavenly Hue Highligher in Kitten. You can see the peach veining throughout the MSF, I refered to them as the lighter peach highlights. This MSF would definitely warm up any complexion and probably look very different on each of us. That's what I like about highlighters, they look totally different on a variety of skin tones. I haven't played around with it yet other than swatching for the photos. I absolutely love highlighters and I have about 30 of them from different brands in my collection (the majority being MAC). I imagine wearing this over an orange blush such as Nar's Exhibit A, I think Rio would give it a nice glow. I usually wear highlighters over my blush so that my entire cheek area is glowing. 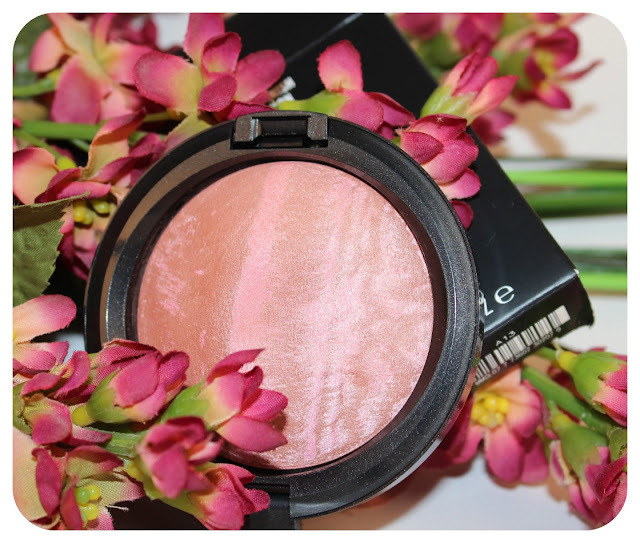 Did you purchase anything from Mac Tropical Taboo Collection?